At Canil Chiropractic Clinic, we take great pride in providing the finest chiropractic care to each and every patient. We have included information below about the different chiropractic services offered in our Delta chiropractic office, but please call us at 604-594-0464 if you have any questions! Chiropractic is one of the largest primary health care professions in Canada, with over 7,000 practicing Chiropractors treating around four and half million Canadians annually. Chiropractic takes a drug-free, manual approach to health care through the assessment, diagnosis, treatment and prevention of conditions relating to the neurological, muscular and skeletal systems of the body. 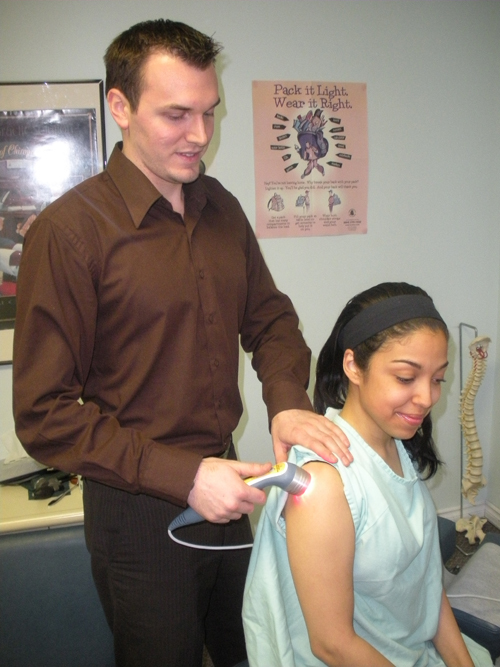 Chiropractors have many tools at their discretion for the treatment of a variety of conditions, these range from Soft Tissue Therapy and Exercises to Therapeutic Modalities like Laser or IFC. However, the most commonly used and most asked about is a Chiropractic Adjustment or Spinal Manipulation. A Chiropractic Adjustment is a specialized technique adapted to each specific patient's needs to help restore motion in a joint with less than optimal movement. Overall, the primary goal of a Chiropractor is to restore joint motion, reduce pain, increase function, and improve overall patient health. Do Chiropractors just treat the spine? No! They specialize in treating all regions of the body including injuries of the shoulders, knees, elbows, wrists, hands, and feet. 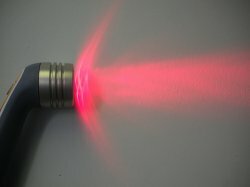 Laser Therapy is the application of a specific wavelength of light aimed at reducing pain and repairing injured tissue. The tissue specific laser wavelength and power is designed to enter the skin and penetrate down into the tissue of interest. There, the laser will interact with the cells of the target tissue to stimulate an increase in your body's natural energy source called ATP. With this new local abundance of ATP at the injury site your body is able to increase the rate at which it removes inflammation and repairs tissue, leading to increased function and decreased pain, all at a fraction of your normal healing time! No, while some people may notice a comforting warmth, most patients won't feel anything at all during their treatment. Yes, Custom Orthotics have been shown to help with a variety of different types of Low Back, Hip, Knee, and Foot Pain. A strong healthy body needs a strong healthy base. Our Doctors are always willing to discuss the benefits of Orthotics and do an in office assessment and casting, we want you walking out of our office pain free with every step. Remember, your Chiropractor cares for more than just your back. Here are just a few of the different conditions we can help you with! New Patients are always welcomed! No Referrals Necessary! We Accept Cash, Debit, Cheques, Visa, MasterCard, And American Express.